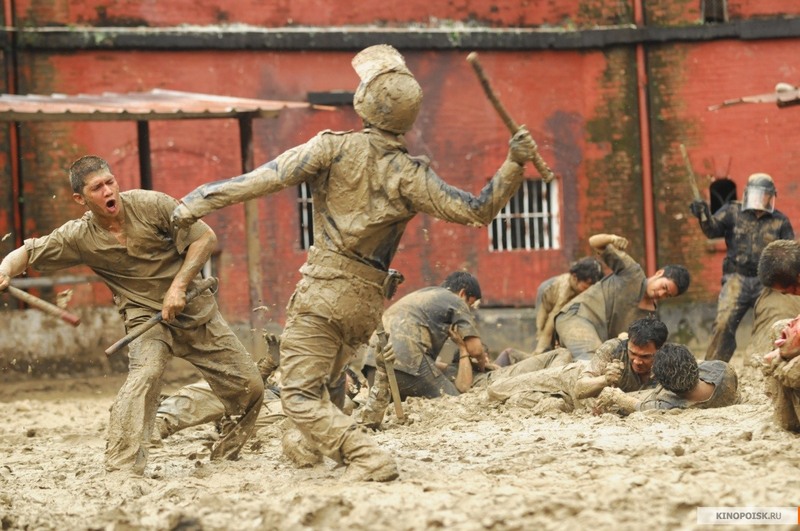 My first observation – this movie doesn’t come close to the standard of The Raid 2012. This installment is pretty much a movie on its own, it doesn’t need to be associated with that gobsmacking ‘so violet its enjoyable’ movie which stunned cinema viewers a few years ago. Before I went along to see this, I was geared up for another round of violent hilarity – after loving the first, I knew this one would live up to it. 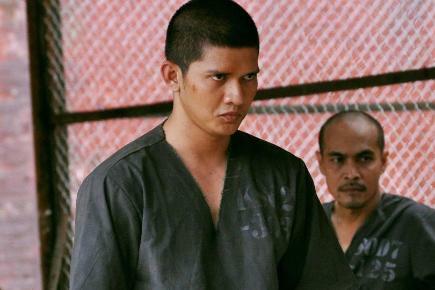 The Raid 2 was basically suited businessmen standing around in warehouses and offices for 75% of its screen time. The remaining 25% was the bloody action I’d hoped for. At one point I sat, chin resting on hand, hoping the thing would hurry up and finish – it was one of those.. 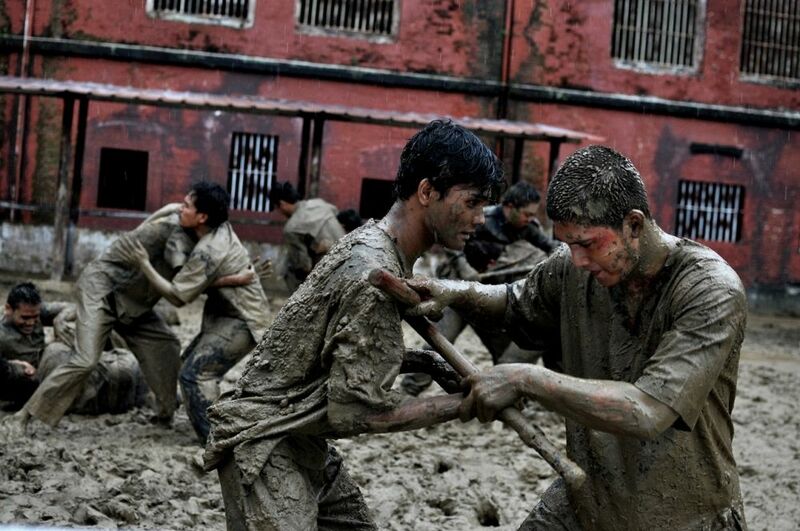 The prison yard punch-up was brilliant – guards and guys going at it (yes – fighting) in a pool of mud. 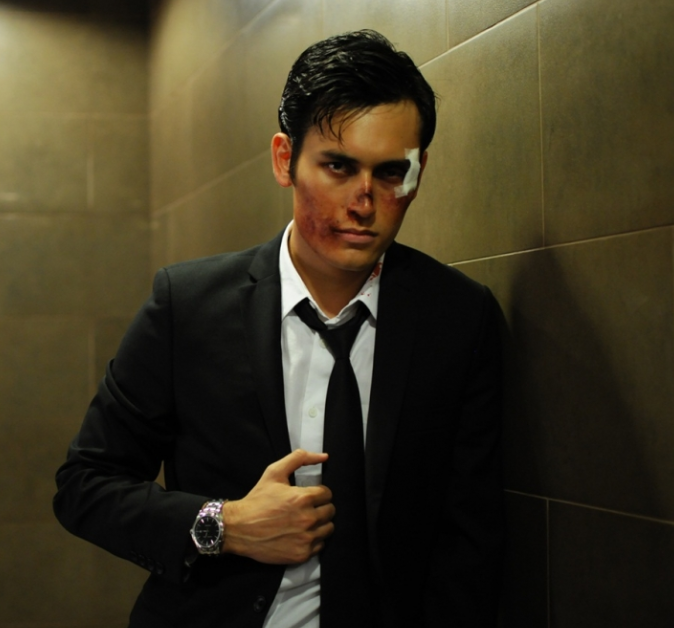 This scene was slick, swift and deliciously violent. A car chase along a busy highway gives way to some brilliantly slick bludgeoning; when Rama is taken prisoner by a handful of bad boys and bundled into a car, an acquaintance of his is in pursuit further down the road. Whilst catching up to them, men a smashed through windows, thrown from doors, and even a motorbike rider is jettisoned from his bike and dragged lethaly along the road by a car. And lets not forget – ‘on the toilet’. A nasty scene where Rama is sat on a lavatory looking at the closed door in front of him. The door appears to be shaking, the lock about to burst – and when a screw from the lock drops to the floor, all hell breaks loose.. in a slick and sharp fashion, Rama pummels his way through at least twenty to thirty men to get to the other side of the door. These are worth a watch, keep your eyes peeled! After being sent out on a mission, Alicia (Hammer Girl) is seen sitting quietly on an underground tube train. Handbag on lap, she checks an image on her mobile phone against a man who is stood nearby down the carriage. She politely unzips her handbag and out come 2 large metal hammers.. Cue panic, fight and a lot of blood as the petite bi-atch smashes her way through a gang of men with more aggression than a City worker in rush hour. This scene is one of the more attention-grabbing, mainly due to the build-up of a sweet young woman sitting on a train who blends in with the other commuters.. until she extracts two hammers from her handbag. There’s always something dynamic too about a woman getting violent. Whether someone’s leg snapping in half, the claw of a hammer penetrating a man’s throat, or a gentleman being hung upside down out of a car window being dragged along the road, this movie wasn’t short of an “ouch” or two. In fact, I found myself exclaiming, “ooh, ouch” a few times with a squint. 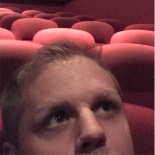 If a movie can make me vocalise a reaction out loud then it did good. 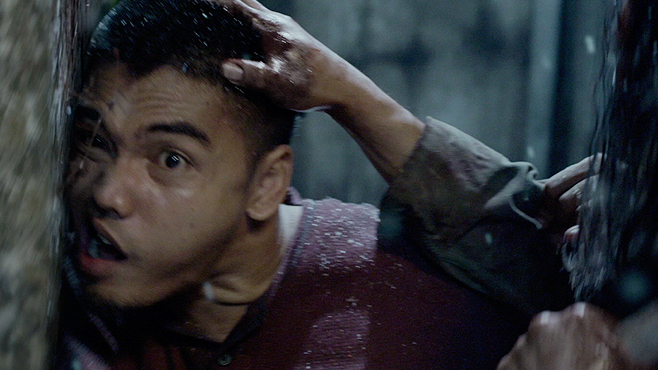 So although The Raid 2 did get tedious towards the end, the brutal bits were very effective when they happened. Two scenes stand out for me; they were gruesome and incredibly graphic. Firstly, the scene where Rama makes his way through a very manned building – where Hammer Girl and Baseball Bat Man are waiting just around the next corner.. after a shocking showdown, one of the baddies gets a baseball bat not just smashed into their face – but literally engrained into it. The baddie then slumps to the floor and slides down the bat before coming to a stop. 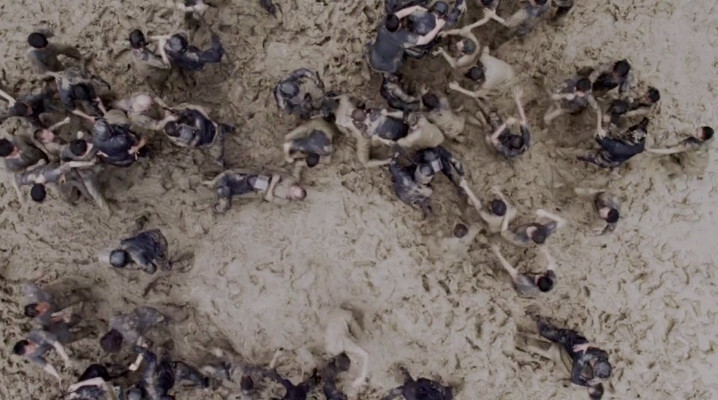 This was one hell of a scene – I think I actually gasped. The second scene is where Bejo shoots a man – but instead of the camera panning away or showing a shot from behind – you get to see the man’s entire head explode. And it is graphic. Like a watermelon being gunned, the head erupts and becomes an empty shell. These bits shocked me a little, but were enjoyable nonetheless. 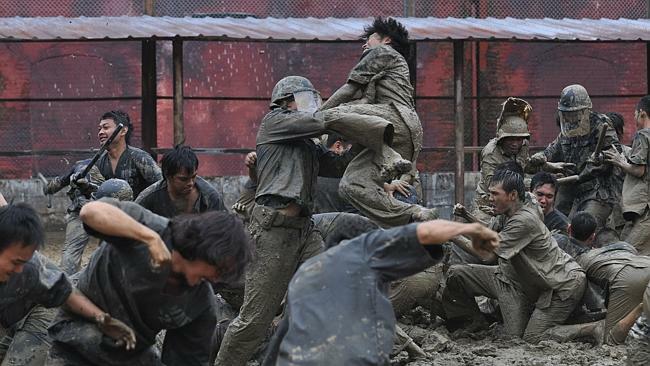 The Raid was a brilliantly harsh piece of cinema. I think its main attribute was claustrophobia; being set entirely on a residential high-rise tower block gave it a deliciously deadly ‘step through the gates, and your life ends there’ kind of atmosphere. 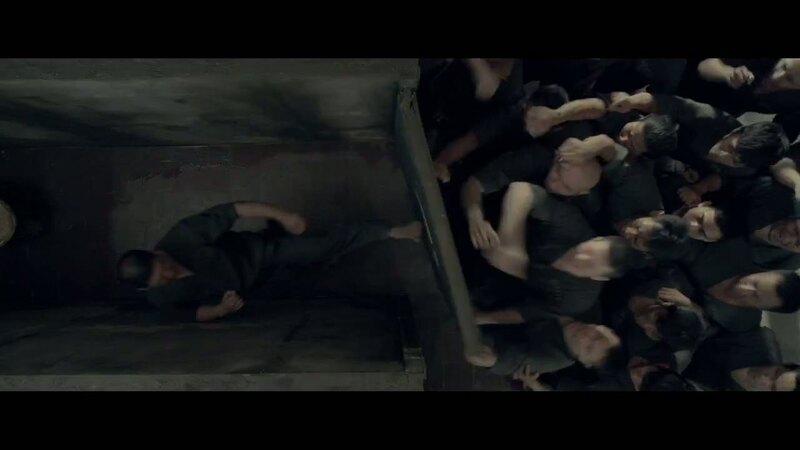 It was all set in the one enclosed space – the higher the police climbed, the more vicious the thugs became. People hanging from handrails, jumping through stairwells, diving into the apartment of a complete stranger for refuge, it was very fast-paced and creative. I liked the fact there was nowhere to run – nowhere to hide – being set in a tower block where men had to fight for their lives whilst moving in only one direction – up. 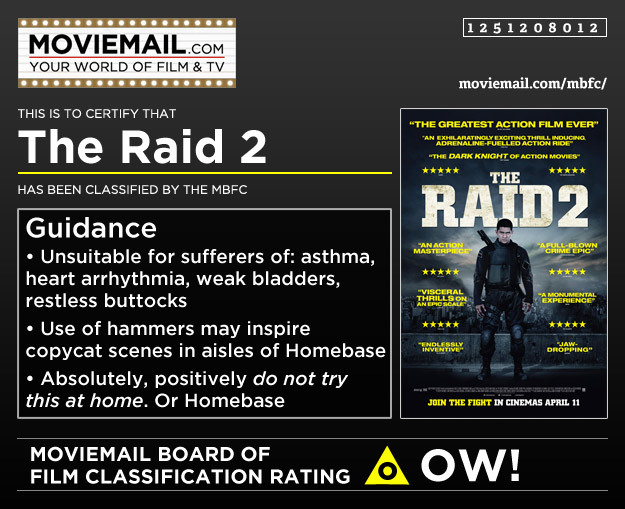 The Raid 2 was vastly different. Car chases, meeting rooms and restaurants, it was basically an 18 rated Skyfall with added brutality. At one point, a female and male character sit at a restaurant table having a conversation about his life and how disappointed she is with him – a scene which stuck a pin firmly in the balloon and watered the movie down, before returning to our main protagonist and what he was up to on the other side of town. 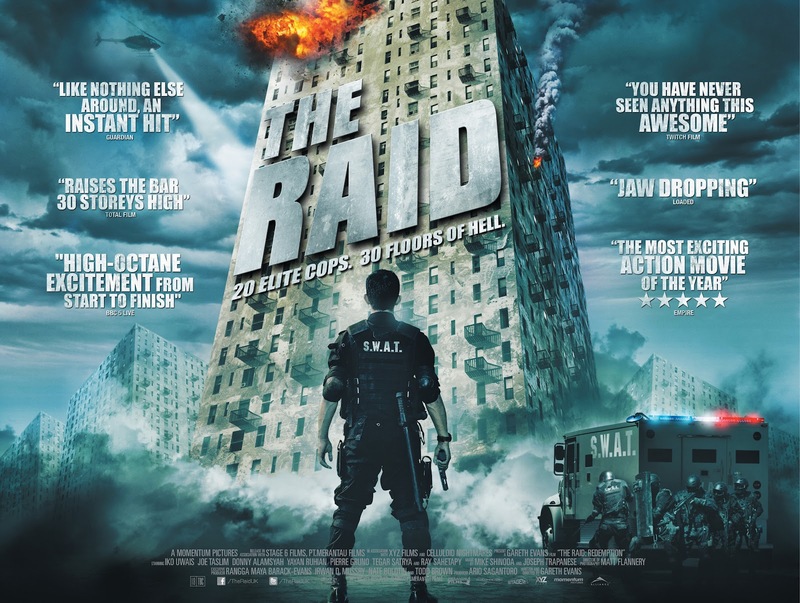 This didn’t even warrant being titled The Raid 2 – it was an independent movie all on its own whose concept flowed directly from Hollywood, not from 2012’s The Raid. 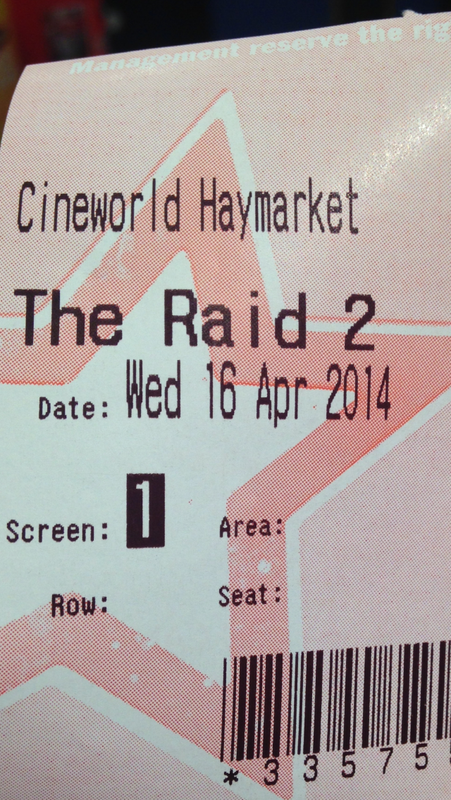 Overall, The Raid 2 was a disappointment. 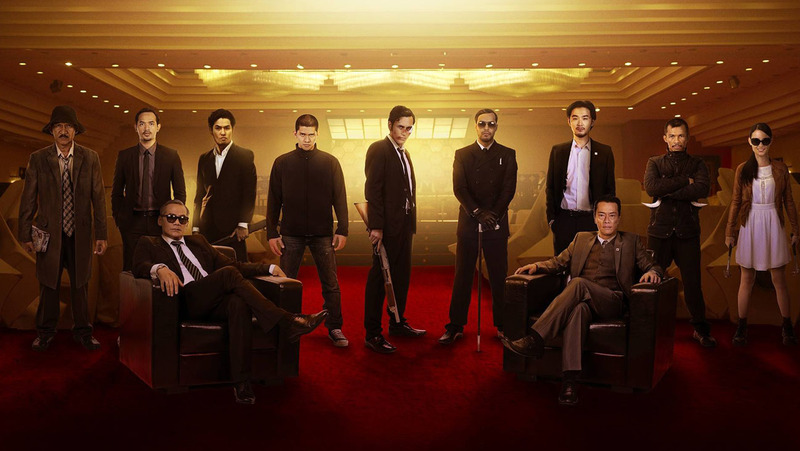 It was not as slick or as full of mayhem as its predecessor, and should have been produced as a movie by itself – without having to cling to the success that was The Raid. The fight scenes are actually rather good and effective, and the movie delivers a nice amont of gore where needed. One of its better qualities was its graphic displays of violence – the bits which got a vocal reaction from me. But although effective, these ‘in-your-face’ scenes were quick to break off into more subtle scenes which sent the thriller temperature plummeting, the atmosphere immediately stamped out. If you’re a fan of this movie genre then you will no doubt enjoy it along with the other ‘beat-em-up’ features you’ve seen in the past. Just don’t expect to be blown away. To me, it looked as though the cast of this movie were told by the director to “mess around, have a fight – have a laugh, and we’ll try passing it off as a sequel”. This was not as good as I thought it would be – I was very bored by the end. 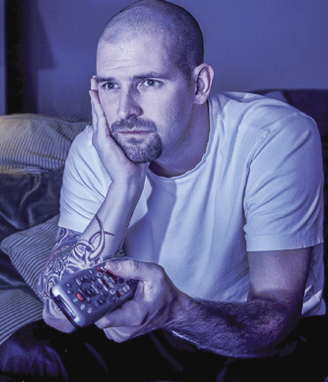 I wouldn’t watch it again. 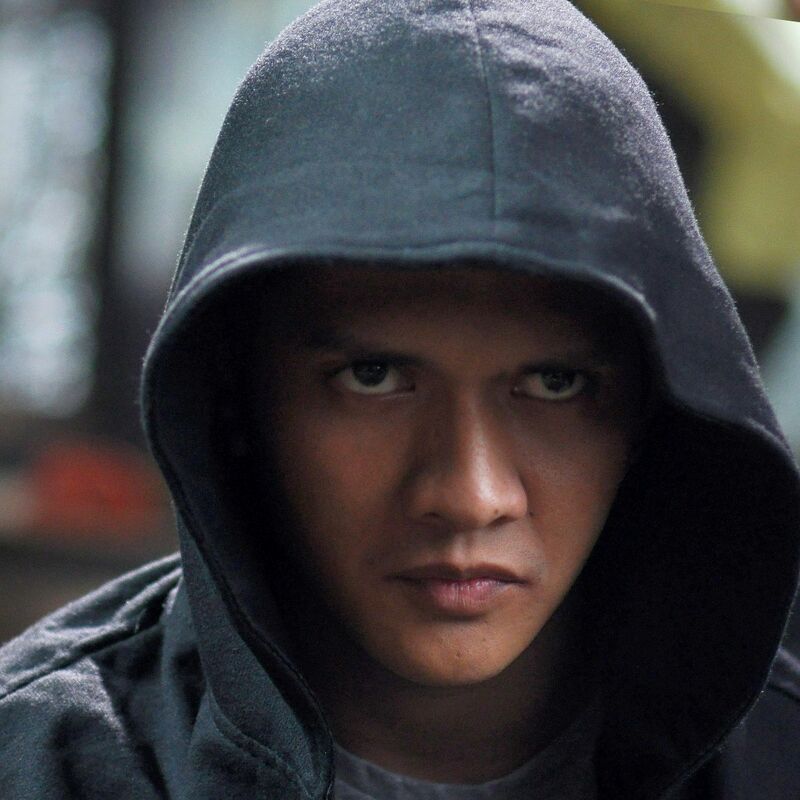 I actually found this whilst searching for The Raid 2 online. Says it all. This entry was posted on April 17, 2014 by rickysfilmreviews.